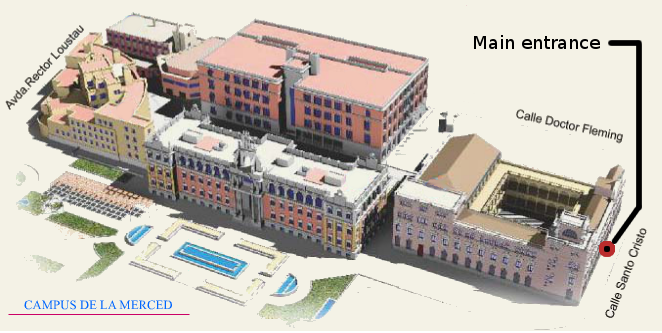 The entire AIME 2013 Conference (Doctoral Consortium, tutorials, main program, and workshops) will be held at Campus de La Merced, Murcia. 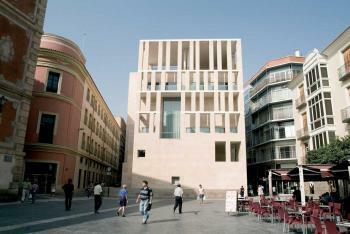 Campus de La Merced is in the city center of Murcia. 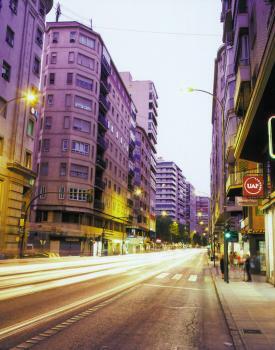 Most Hotels are also in the center, so the easiest way to reach the campus is on foot. Campus de la Merced main entrance. The easiest way to reach Murcia is landing at the Alicante airport (ALC) and take the bus to Murcia (55 minutes, 5 times per day). 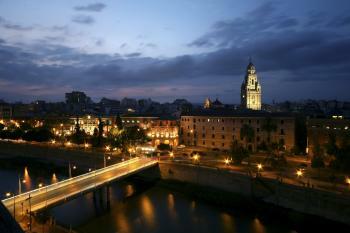 However you can also reach Murcia from Madrid-Barajas (MAD), Valencia (VLC) and Murcia- SanJavier (MJV) airports. Once you are in Atocha-Renfe train station you can buy a regular train to Murcia-El Carmen train station (Renfe web page). 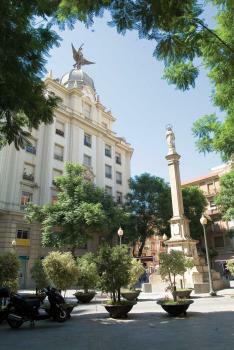 If you land at Valencia airport the easiest way to arrive to Murcia is by train. 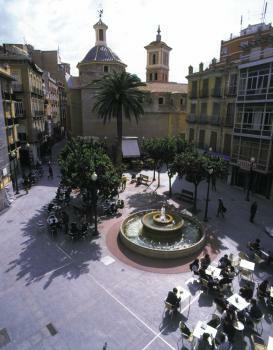 The main train station of Valencia is Valencia-Nord. You can take the Metro lines 3 and 5 and get off at Xàtiva stop (50 meters to train station). (Metro Valencia). Alternatively, you can take a bus from the airport to Valencia-Nord. 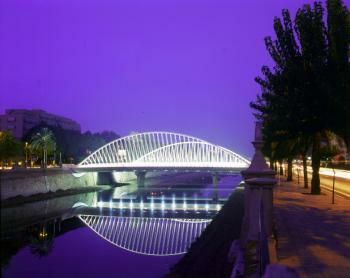 This option is cheaper and you can enjoy the view of Valencia, although travel takes longer. 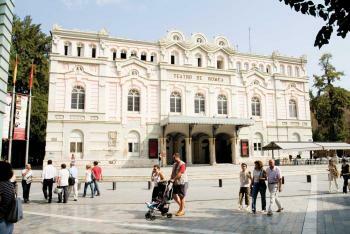 Once you are in Valencia-Nord train station you can buy a regular train to Murcia-El Carmen train station. (Renfe web page). View Bus and Train in a larger map. The city is served by buses and trams. The city of Murcia was founded in 831 by Abd-Al-Rahman II on a privileged location, in the centre of the Valley of the River Segura. The city wall offers a good idea of the importance achieved by the city under Arab rule, and the remains of part of the wall are still visible in different places around the city; the wall originally measured 15 metres in height and had 95 towers. The importance of the city has also been evidenced by the numerous archaeological findings, such as the remains of a palace unearthed at the Las Claras Convent. The Christian city has also left a profound mark on Murcia's urban physiognomy; two of its main arteries, La Platería and La Trapería, still reveal the intense guild activity that developed in the metropolis. 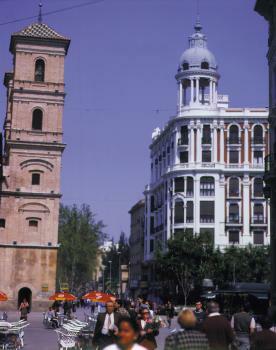 However it was from the 16th century, and particularly the 18th century, onwards that Murcia achieved an urban splendour that lead to its expansion beyond the city walls. It was during that period that the numerous churches - mainly baroque in style - that mark the entire urban landscape were built. 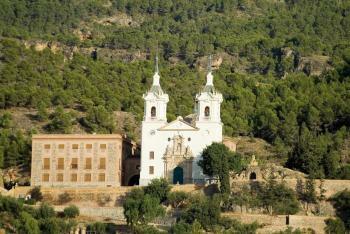 These churches include La Merced, San Miguel, Santa Ana, Las Claras, Santo Domingo, Santa Eulalia and San Juan de Dios, which combine their artistic and architectural designs with an important pictorial and sculptural heritage, containing numerous important works, including most notably those produced by Francisco Salzillo. 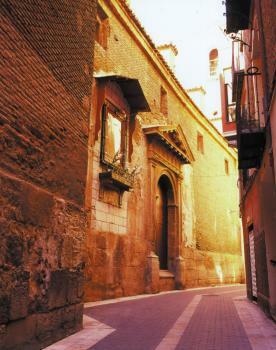 The most important religious building in Murcia is its Cathedral, construction of which began at the end of the 14th Century; this building contains gothic elements, such as La Puerta de los Apóstoles, and La Capilla de los Vélez; renaissance architecture, showcased by the Junterón Chapel; and baroque architecture, including most notably its façade, conceived as a gigantic altarpiece by Jaime Bort, with its clever conjugation of sculpture and architecture. Also noteworthy is its tower, measuring 92 metres in height and built in different stages between the 16th and 18th centuries. 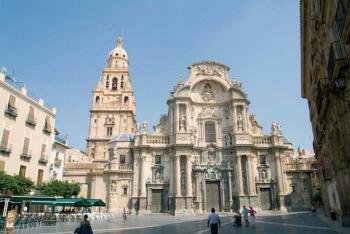 The Cathedral is flanked by other eighteenth century buildings - the Episcopal Palace and the old Granary, known as El Almudí, both good examples of the construction boom that took place during the abovementioned period. 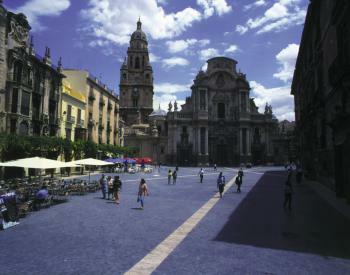 The streets and squares of Murcia also offer magnificent examples of 19th century architecture, such as the Town Hall, the Victoria Hotel, the Romea Theatre and particularly the Casino, built in 1847 and extended after 1902, and which contains decorations of great interest, such as its dance hall, the neo-nazarí (13th - 15th century Muslim dynasty in Granada) patio or the library, as well as its façade decorated by magnificent sculptures. 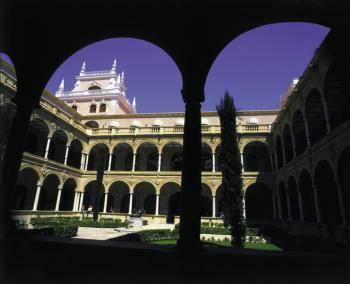 All this artistic and historic wealth is on display at the city's museums, such as the Archaeological Museum, the Fine Arts Museum or the Salzillo Museum, where visitors can enjoy the procession images created by this skilled Murcian maker of images for the procession of the morning of Good Friday, as well as his famous Nativity Scene, which marks the start of one of the oldest traditions in Murcia. 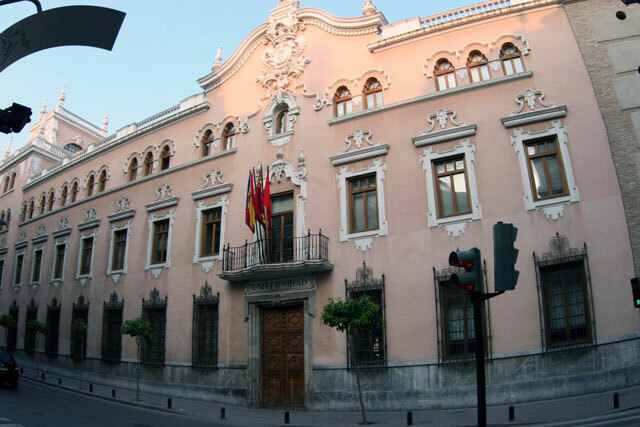 The Hydraulic Museum offers another clear example, just like the bridges that cross the river and particularly the Old Bridge, of the close relationship that exists between Murcia and the River Segura.